If your best friend, daughter-in-law, or fellow miltary friend has a hubby that’s deployed, send a sweet surprise so she knows you are thinking about her as she anxiously awaits her loved one’s homecoming! 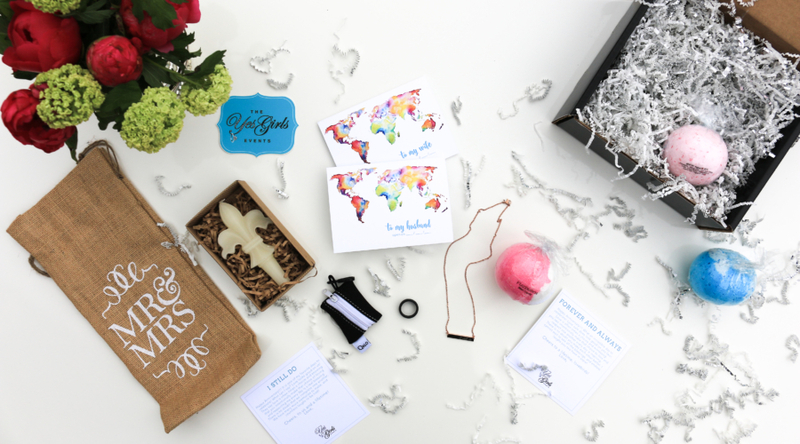 The “Deployment” Gift Box is inspired by admirable military wives and your encouragement! Full of the best gifts for her to enjoy and includes a special something for her deployed spouse too (for his next care package)! The perfect gift for a remarkable military wife while he is away! In order to create the perfect gift box we asked military wives (we also have a few on The Yes Girls team) about their most valued gifts to make the deployment a little more bearable. 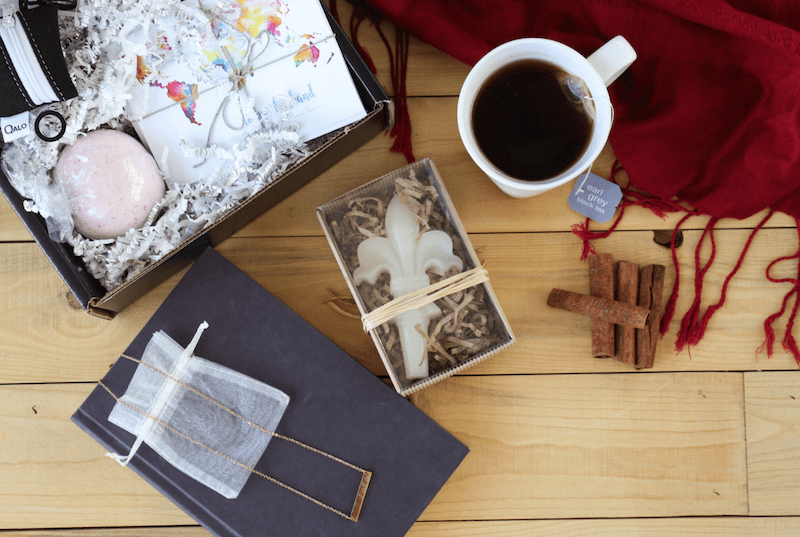 We scoured our favorite brands and shops for the very best deployment gift ideas for her (and him) and put them into a box! Go ahead and pat yourself on the back because you are about to make this military wife’s day! 5 hand-selected gifts wrapped up in one fabulous black box and a greeting card signed with your name! 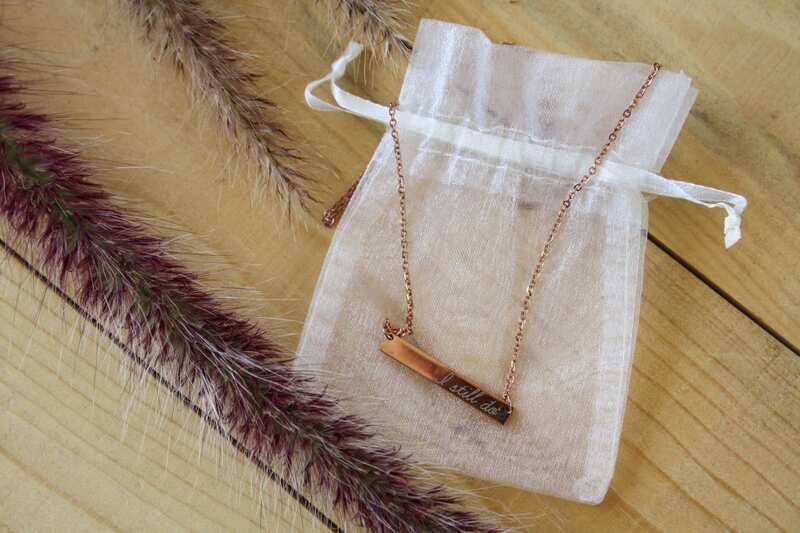 Imagine a hand-stamped and reversible ‘I Still Do’ choose you (no matter the distance) rose gold bar necklace for her to wear as a special reminder, a set of encouragement cards for him and her, an insanely yummy scented bath bomb, and a candle so she can pamper herself at home (especially if she doesn’t get many breaks from the kiddos). To top it off, the highly-reviewed and quality Men’s QALO wedding band for him because a silicon ring is ideal for military spouses while they are on the job and working out during deployments (so they don’t loose their wedding band). These are just a few of the unique surprises she could find inside. We guarantee your black box will be chock-full of encouragement! Special note: We like to keep it fresh, thoughtful, and seasonal so gift items may vary. Men’s QALO ring is guaranteed. 2. We ship the little black box directly to your friend’s work or doorstep (not inside an ugly shipping box). 3. The surprise arrives! She opens memorable gifts and it’s all thanks to you!